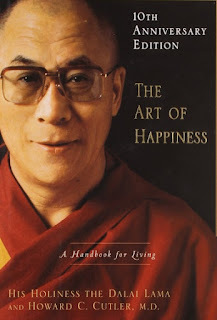 The Art of Happiness [amazon] is written by His Holiness the Dalai Lama and Howard C. Cutler, M.D., that provides philosophical and practical life lessons on attaining happiness. It starts with preface/introduction and then divides into 5 parts that contain several chapters each. The preface/introduction is a fun read to learn about the authors and the book itself, and also provides a glimpse into what the book is about. It's interesting to see things from different perspectives from both of them, West vs East culture, religion vs science, and how they are combined to provide a more complete view. I like Dalai Lama's emphasize on all people are the same, which allows us to communicate at the same level openly, which allows him to be personable to anyone he meets, and also on how compassion can lead to happiness and vice versa. Part 1 The Purpose of Life is the most interesting part, and something that I agree with completely: it is to be happy. Everything that you do should be for that purpose, if not, then you might want to reconsider. 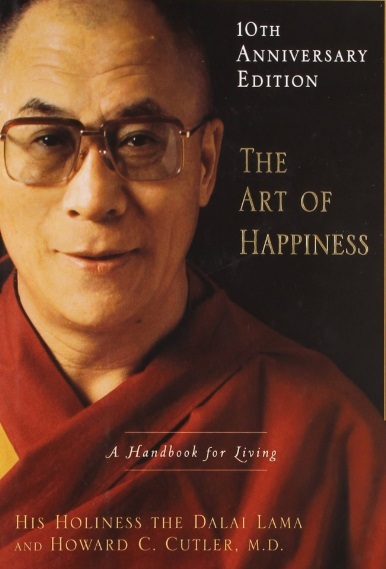 Dalai Lama believes happiness can be trained and provides guidance on how that can be accomplished, such as looking at things from a different perspective, inner contentment / worth, focusing on positive emotions, etc. Part 2 Human Warmth and Compassion is also interesting as it talks about compassion, a great leadership trait that I hold dearly. After talking to Dalai Lama, Howard became to realize how we depend on each other for everything -- think about the shirt that you are wearing and how it started out as cottons on a tree and ended up on you and all the people involved in each step. It talks about how compassion plays with intimacy, connecting with others, and how it leads to happiness. The first part of compassion is empathy, and by adding the desire to help, then we can build stronger and happier relationships. And finally, Dalai Lama emphasized true compassion should be given to everyone, friends or enemies, without expectation of anything in return. There are also several scientific citations on how happiness and compassion can lead to a healthier body and mind. The remaining parts as less interesting but still helpful on dealing with specific issues or circumstances, such as dealing with suffering, pain, anger, hatred, anxiety, and self-esteem. And last chapter talks about basic spiritual values. As I already know how to deal with those, or don't really have those issues myself anymore, they felt a bit long for me. Recommended: Yes, but later chapters deal with specific issues and might feel a bit long if not applicable to the individual.